The Practical Law family comprises an external board of advisors and in-house team of legal writers. All our team members have specialist practice experience, and are dedicated to delivering practical and concise guidance to busy legal professionals. What makes Practical Law unique? Our team members share their insights. Practical Law's in-house team of legal writers has practical legal expertise gained from Australia's leading law firms and corporate legal departments. Now their practical knowledge can give you a better start. 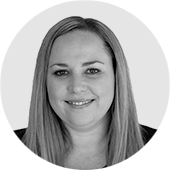 Linda Taylor has more than 15 years' experience in employment, industrial relations and work health and safety law in both private practice and in-house roles. Prior to joining Practical Law, Linda held senior management positions with the Australian Broadcasting Corporation, where she advised on a variety of matters, including termination of employment, transfer of business, and disciplinary and grievance investigations. 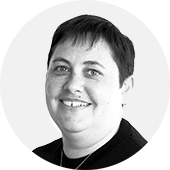 Kristen Barratt has more than 25 years' experience in employment and industrial relations law in both private practice and in-house roles. Kristen has held senior workplace relations roles for both an employer organisation, and an international building and construction firm. For the last six years, Kristen has been advising national and international businesses in her capacity as Special Counsel at Gadens Lawyers. 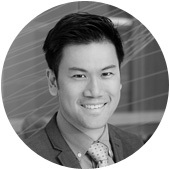 Shan-Ree Tan joined Practical Law after more than eight years in practice at leading Australian law firm Gilbert + Tobin. His expertise includes leveraged private equity investments and trade sales, as well as restructures, capital raisings, fund structuring, foreign investment, state transactions, employee incentive schemes, corporate governance, commercial contracts and charities. 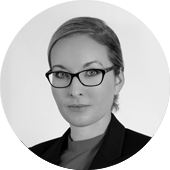 Hanna Soderlindh has more than 10 years' experience in corporate law, having practised at leading Australian law firms, including Ashurst and Jones Day. 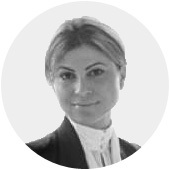 She specialises in mergers and acquisitions and a broad range of corporate advisory matters. Hanna also holds a Swedish Master of Laws Degree from Stockholm University. Katrina Seck has practised law for 10 years in both large and boutique firms prior to joining Practical Law. Katrina's specialty is in the area of employment law and she has advised her clients on all stages of the employment relationship. 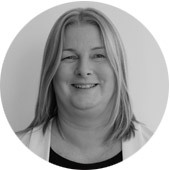 In particular, Katrina has experience in issues regarding the engagement of employees, performance management, work health and safety, workplace investigations, disputes and termination of employment. 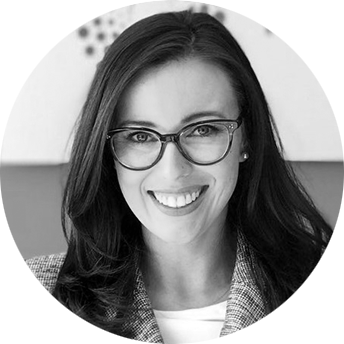 Kate Merrifield joined Practical Law after 10 years in practice as a corporate lawyer at leading Australian law firm Gilbert+Tobin. Kate's practice included advising clients on a range of corporate transactions and commercial matters including restructures, acquisitions and disposals of private companies, commercial contracts, corporate governance and compliance with the Corporations Act and Listing Rules. 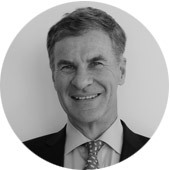 Michael Milnes has extensive legal and commercial experience, practising both as in-house counsel and at leading law firms in Australia, the UK and France. Michael has experience of advising at a strategic and operational level, across a wide range of commercial legal practice, including major contracts, competition and consumer law issues, marketing law, technology, IP and brand protection. Michael is also currently completing a Masters of Business Administration. 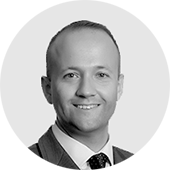 Alex Chernishev has more than 12 years' banking and finance experience at leading international and domestic firms in Australia and the United Kingdom, including Clayton Utz and Freshfields Bruckhaus Deringer. 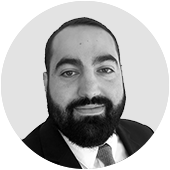 Alex has extensive experience in a wide range of banking and finance transactions including corporate finance, project finance, debt capital markets, securitisation and derivatives. 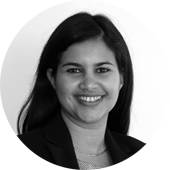 Sarita Walpola joined Practical Law from Minter Ellison. She has over eight years' experience advising on a wide variety of corporate and commercial matters, including public and private M&As, compliance with the Corporations Act and ASX Listing Rules, joint venture arrangements, restructures and corporate governance matters. Sarita has had the opportunity to apply her expertise in a variety of fields, including the financial services, energy and resources, media, technology and not-for-profit sectors. 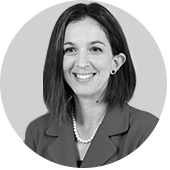 Laura Hawes has more than 10 years' experience in litigation and dispute resolution, having developed particular expertise in insolvency and restructuring. 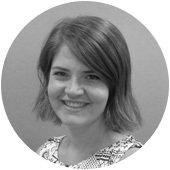 Prior to joining Practical Law, Laura practised for over eight years at Clayton Utz. Laura has acted in a broad range of matters including complex commercial and corporations law proceedings, insolvency administrations, property and body corporate disputes, breach of contract claims, shareholder actions and employment disputes. 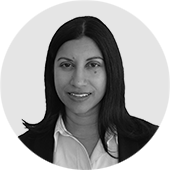 Sharmila Shearing has more than 20 years' experience in intellectual property law gained from diverse roles in private practice, in-house, academia and public sector organisations. Prior to joining Practical Law, Sharmila was operations manager at UNSW Innovations, the tech transfer and innovation office of UNSW, where her responsibilities included IP, contract and practice management. Her experience spans practice in IP commercial and litigation matters at Banki Haddock Fiora, Spruson and Ferguson, advisory at the Arts Law Centre of Australia and lecturing in IP law at the University of Sydney and UTS. Sheridan Pinheiro joined Practical Law after more than 10 years' experience working on corporate and commercial legal documents in the knowledge management team of leading international law firm Herbert Smith Freehills. Prior to that, Sheridan practised in-house for a media group on a range of corporate and commercial matters. 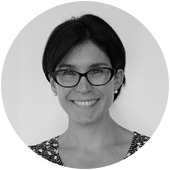 Edwina has nearly 10 years' experience in the legal industry in the public and private sectors. 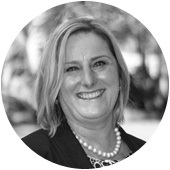 Edwina has an understanding of the practicalities of working in the Australian legal industry from varied perspectives including six years of post-qualification experience as a private practice solicitor in the corporate, banking and financial compliance sectors at Dentons (formerly Gadens). Edwina has had exposure to a cross-section of major Australian finance, resource and commercial sector entities as well as SMEs and not-for-profits. This varied experience has provided Edwina with a comprehensive understanding of business law and the practicalities of operating in the financial and corporate sectors. 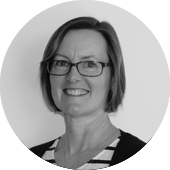 Christine Gray has more than 20 years' experience practising in all aspects of commercial property in leading Australian law firms, including Gilbert + Tobin and Dentons Australia (previously Gadens). Christine has extensive experience in commercial and retail leasing, acquisitions and disposals of commercial and residential real estate, and strata and community title structuring. Tyrilly joined Practical Law from IBM, where she held the role of lead counsel managing consulting services, hardware, and software licensing transactions across ANZ, with a special responsibility for privacy, data incidents and cybersecurity. 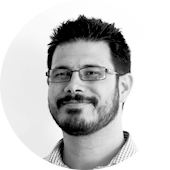 Tyrilly has extensive practical IT law experience, with over 10 years' commercial experience in both private practice and in-house, advising on IP, competition and consumer laws, and PPSA. Skye brings over 12 years' banking and finance experience to Practical Law. She gained her experience at leading private practice firms in Australia and the United Kingdom and has worked in-house for an international bank and a local non-bank financier. She has extensive experience in all aspects of banking and finance transactions, with a particular focus on property finance, leveraged and acquisition finance, corporate finance and securitisation deals. 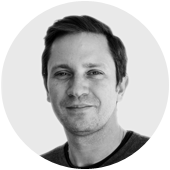 David Hazan, Writer joined the Practical Law writing team after serving as the Editor across all of Practical Law’s modules for over 2 years. He has broad legal practice experience at boutique firms, ranging from general practice matters to High Court litigation, with a particular focus on defamation and IP. He has also written for global business technology publications and edited academic journals. The Advisory Board advises on the direction of the service and ensures that it stays at the leading edge of practice. The combined experience of Practical Law's own expert legal writers and the board enables us to ensure that our resources are of the highest quality, are of practical use to those working in the field and reflect state-of-the-art methods of knowledge management. 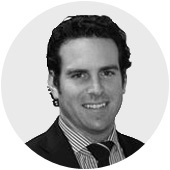 Peter has practised as a litigator in Sydney, Melbourne, London and New York, and regularly advises Australia's largest companies on corporations law matters, contractual disputes, class actions and regulatory issues. The former Head of Litigation for Freehills, Peter has held several senior management roles within the firm including Managing Partner. He also spent two years on secondment to Reuters in London as Special Counsel for the Board and Head of Compliance. 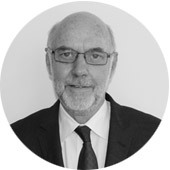 Reg Barrett served as a Judge (2001-2015) and Judge of Appeal (2012-2015) of the Supreme Court of New South Wales after practising corporate and securities law for more than 30 years as a partner of both Allen Allen & Hemsley and Mallesons Stephen Jaques, and general counsel at Westpac Banking Corporation. He is the general editor of Robson's Annotated Corporations Law, a member of the editorial board of the Company and Securities Law Journal and part-time mentor to Practical Law. 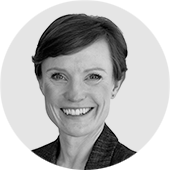 Rachel joined Deloitte in 2002 from DLA Piper where she practised as a technology lawyer and became the firm’s General Counsel, Legal Partner and Secretary to the Board in 2012. She leads the internal legal team of 25 corporate, commercial and dispute lawyers who advise the $1.7 billion Australian practice on all professional legal matters. 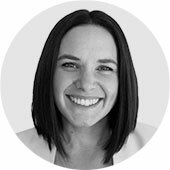 Rachel is a former Deloitte Businesswoman of the Year state winner and national finalist, and featured on the Legal500’s GC Powerlists for 2016 and 2017. 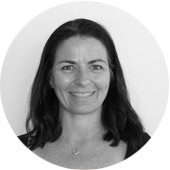 Carolyn is Associate Director for Knowledge and Practice Support, Australia with K&L Gates. She leads a team of practice support lawyers and practice support specialists across Australia. Carolyn has prior experience with two other global firms: as a commercial litigation lawyer and a Know-How Projects Manager in the Know-How Innovations team. She is also a sessional lecturer in the postgraduate and executive certificate program in knowledge management at the University of Technology, Sydney. Rachel Launders became General Counsel and Company Secretary at Nine Entertainment Co. Holdings Ltd in January 2015, after 14 years as a partner at Gilbert + Tobin. At Gilbert + Tobin, Rachel's practice included a range of corporate transactions and related commercial work, across a wide range of industries. Rachel is also a director of Giant Steps, a not for profit school for children and young adults with autism and the ASX listed accommodation provider, Gateway Lifestyle Group. Rachel enjoys musical theatre and cabaret. James is an experienced corporate and transactional lawyer, working in the public/private and regulated/unregulated environments. He regularly advises on transactions and regulatory issues including: mergers and acquisitions; funds management; equity capital markets; securities regulation and financial services regulation; joint ventures; and advisory work on corporate governance matters and securities regulatory issues. 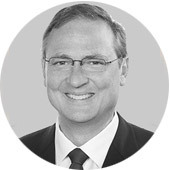 During his career, James has worked on a myriad of financial products and offerings, and was seconded to ASIC where he assisted its General Counsel. 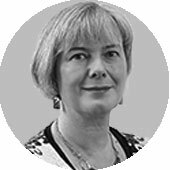 Mayee Warren was the founding director of Practical Law and has over 20 years of senior management experience specialising in knowledge management in legal and judicial organisations in the corporate and public sectors. Immediately prior to joining Thomson Reuters, she served in senior capacity in international criminal courts around the world. Before this, she was knowledge management director for Deacons (now Norton Rose Fulbright) and held similar roles with Freehills, IBM and Auscript - the Commonwealth Reporting Service. Mayee currently lectures on knowledge management strategies in postgraduate programs at the University of Technology, Sydney, and is the legal project director of ICL Collaborative. 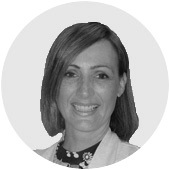 Fiona is Director of Knowledge and is a banking lawyers with over 25 years’ experience. 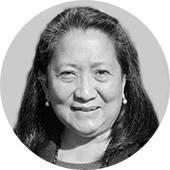 She leads the NRF knowledge and library teams in the Asia Pacific region and is responsible for ensuring lawyers have the documents and training to deliver an excellent service to our clients.